The Sunshine Coast is prone to long, hot summers with plenty of wild weather. This means that a well-maintained and high quality roof is essential. But how can you ensure that your roof is at its best? It’s quite simple – contact the team at Strongguard. Here at Strongguard, we specialise in high quality roofing solutions. Our range of services is tailored to meet the dynamic needs of Sunshine Coast homeowners and business owners alike. We understand that different homes are unique and specific needs when it comes to roofing. From metal roof repairs, to tiled roof refurbishment and even asbestos roof replacements, Strongguard has you covered. In fact, we offer all the roofing services that you need to keep your roof performing well and looking great. Our team of roofing specialists and professional estimators work together to bring you great roofs and cost effective solutions. Despite what you might think, there are actually many components that form the basis of your roof. From guttering, to structural support, high quality roofing services must account for the precise design of your roof. Here at Strongguard, this is something that we understand. With over 20 years of industry experience, we have encountered all kinds of roofing products and designs. This means that we know exactly what works, and how to install it. 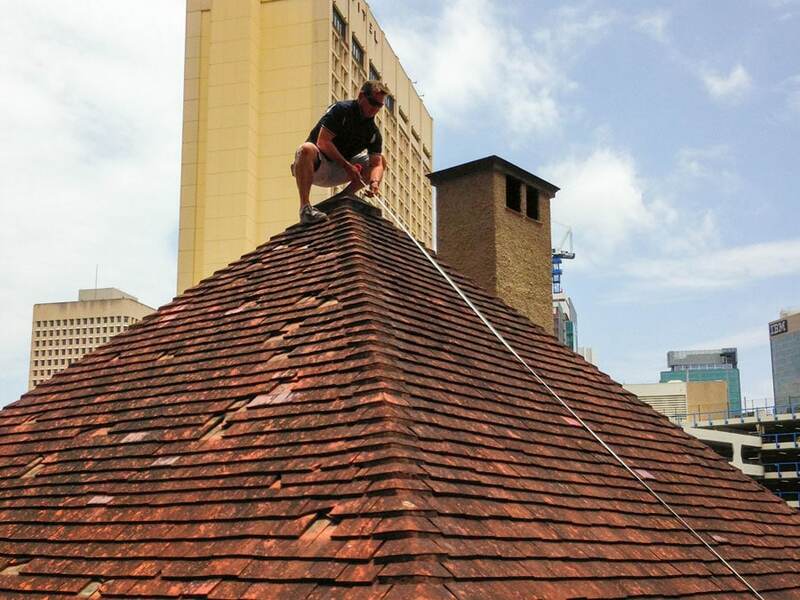 Our services encompass all roofing jobs, whether they are big or small. We can do roofing overhauls, replacements, gutter repairs and even asbestos roofing replacements. This is not all we offer, however. We also cater to commercial clients, with professional roof inspections, repairs and replacements for commercial buildings. In addition, we offer insurance related repairs and replacements. With so many roofing services on offer, we have refined our service process to ensure that you get precisely what you need. Our friendly team in the office will work with you to establish your needs and identify a course of action. All you need to do is contact us – we will take care of the rest. We always encourage you to get in contact with us, whether you need urgent repairs, or would simply like to explore your options. You can contact us by submitting an online query, or calling our office. Once we have taken your query, we will determine the issues that you face and let you know what we can do to help. From there, we will allocate an estimator to provide a quote based on a site inspection and measure. This quote is usually free, although we do charge for some commercial and insurance jobs. Based on the findings of our professional estimator, we will develop a quote for you. We can post or email this quote, for your convenience. You can peruse this quote at your own speed and decide if appeals to you. Throughout this stage, we will repair accessible to you, should you have any questions. We will even follow up to ensure that you are satisfied. If you accept the terms of the quote, then you can email or call us to confirm the job. Once this happens, we will assign a tradesman to your job, who will then commence work. We maintain an unrivalled standard of quality and we will careful scrutinise the work upon completion, as a part of our quality control process. Finally, we will send you an invoice for the work. Once payment is received, we your warranties will commence. If you would like to transform the look of your home, then we can help. Simply call the team at Strongguard today, or contact us online. 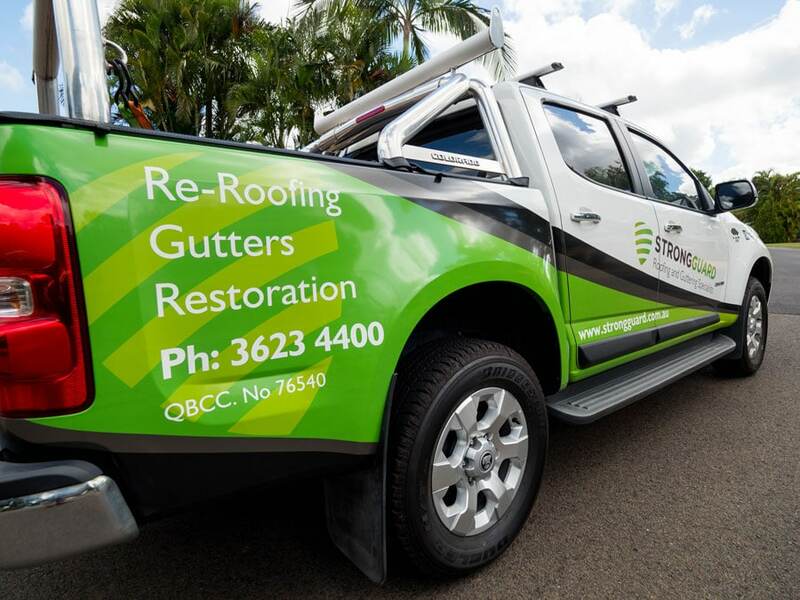 We have everything you need when it comes to roofing solutions and our team comprises the best roofing contractors Sunshine Coast has to offer. Whether you need repairs, replacement or routine maintenance, Strongguard has the solution. #1 Are you licenced roofing specialists? Here at Strongguard, quality is at the forefront of our priorities. This means that we endeavour to complete each of our jobs to an unrivalled standard. As a part of this, we ensure that all of our roofing contractors have the relevant licences and qualification. This includes a licence with QBCC (76540). We adhere to a strict and self-imposed professional standard, which serves to give you the best in service and results. It is imperative, as a feature of our professional conduct, that all of our work is completed in accordance with industry standards. We are constantly adapting to meet the dynamic standards of our industry. To ensure that we maintain such a high standard of service and quality, we are proud members of the Queensland Master Builders Association. This means that we have access to the valuable insights of other industry professionals. In addition, this allows us to contribute to the growth and development of Queensland industry and construction. #2 What are your payment terms at Strongguard? Here at Strongguard, we see our payment terms as a part of our services. For this reason, we strive to make them as convenient as possible for you. As a part of this, we do not demand a deposit on most of the jobs that we undertake. We do, however, require our invoices to be paid seven days from the completion of your job. Our warranty options commence from the date of payment. This means that paying within the required timeframe will bring you prompt warranty coverage. This will mark not only the completion of the job, but also the point at which your investment is protected against unforeseen damage. If you have any concerns regarding our payment process, then feel free to contact one of our friendly office staff members. We will do our best to ensure that you are familiar with our terms of payment from the commencement of the process. Our team welcomes your questions at any point of the process and are only too happy to help clarify any points of confusion. Here at Strongguard, we aim to provide comprehensive service that is centred on your needs. As a part of this dedication to service, we ensure that all of our jobs come with the protection of our insurance. We are insured for both products and public liability and our insurance covers us to the sum of ten million Australian dollars. We are very particular when it comes to matters of insurance, as we understand that your roof is an important and sometimes costly investment in your home. It is our foremost priority to ensure that each job we do is protected to the best possible extent and we hope that you enjoy the peace of mind that comes with such protection. As far as we are concerned, an extensive insurance policy is simply a feature of our professional obligation to our clients. With Strongguard, you can rest assured that you, your house and your roof are protected by quality, service and dedicated insurance coverage. #4 How long has Strongguard been in operation as Sunshine Coast roofing specialists? When you are looking for a roofing specialist, there is no doubt that you will place experience high in your list of priorities. 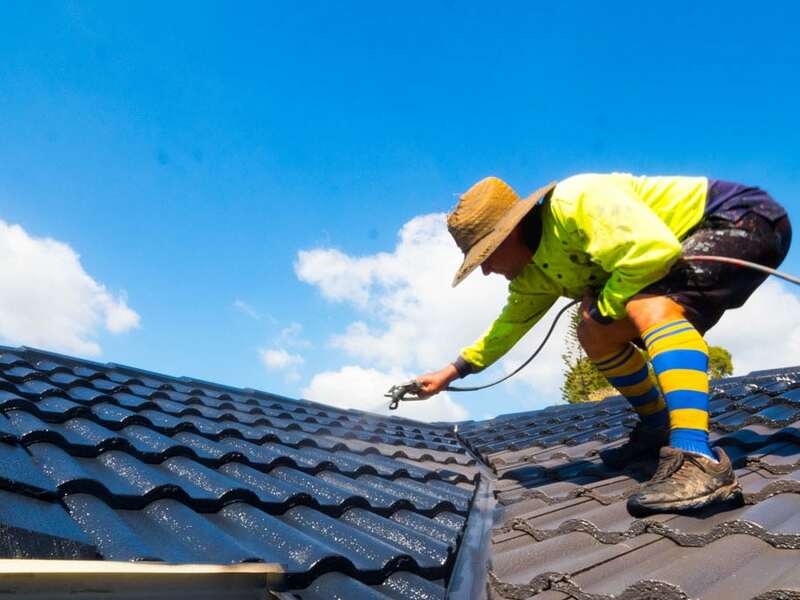 Fortunately for you Strongguard fulfils that criteria, with over twenty years of experience as roofing specialists in the Brisbane and Sunshine Coast roofing industry. As you would imagine, the industry has progressed significantly since our establishment. This means that we have witnessed the evolution of both roofing products and roofing services. As a result of our experience, we know exactly how to bring you the best in roofing solutions. We choose our products based on our experiences, which allows us to offer only the highest quality goods and services. As a testament to our experience and knowledge, we are a part of the Master Builders Association of Queensland. This means that we are able to continuously monitor advancements in the roofing industry, with further insights from other industry professionals. 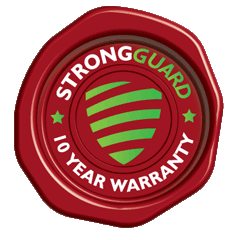 #5 Does Strongguard offer warranties for each job? With Strongguard, you get more than just great service. You get the assurance that your roof will be repaired, restored or replaced to an unrivalled standard of quality. The team at Strongguard are industry leaders and we strive to make this evident through the work we do. As a part of this, we offer ten-year workmanship warranties on all our jobs. Additionally, you get supplier and product warranties, for extra coverage.